Preheat cooking surface to the temperature needing to yield golden brown cakes. (Not as hot as you’d think, see below). Slightly below medium on our range. I use a square, non-stick coated aluminum griddle on a glass-top range. 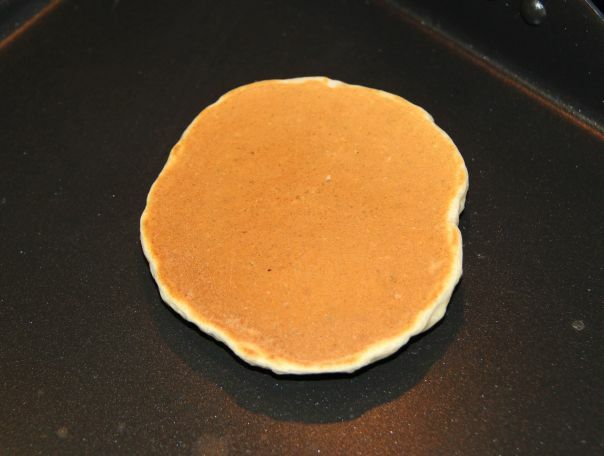 Large, self-heated griddles are best, but anything works, but it needs to be fully and uniformly heated. Allow refrigerated ingredients to come to room temperature. For the egg and milk that’ll take up to an hour. Warm ingredients perform better. 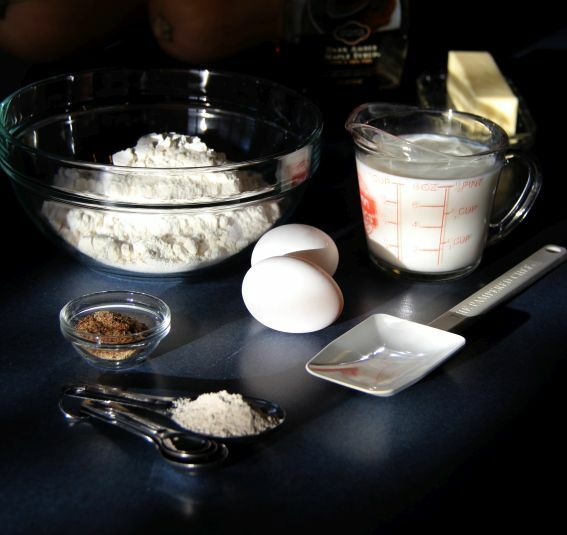 Thoroughly mix first three (dry) ingredients in medium mixing bowl. Any commercial pancake mix works; I prefer the taste of a buttermilk mix. (Check the label, you may need to adjust eggs or milk.) Use your normal milk: whole, 2% or skim. Once I open the mix box, I transfer the remaining mix to an airtight container. Flaxseed meal and buckwheat mix add flavor and nutrition. Since I use them only a tablespoon at a time, I store them in the refrigerator to extend their life. Add eggs, then milk. 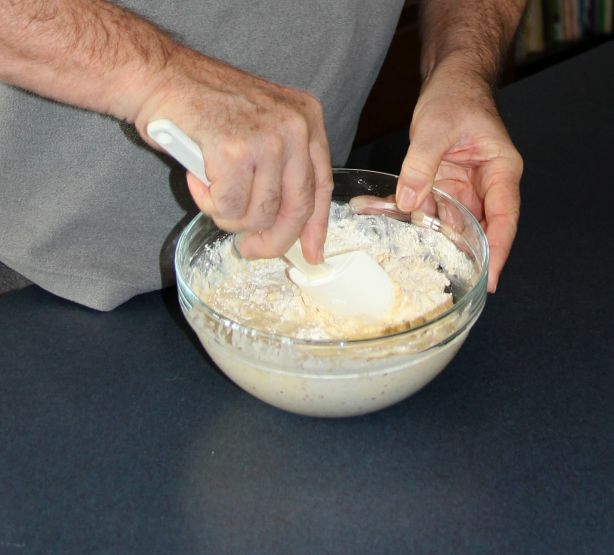 Mix just enough to moisten the batter. Batter will be thick and lumpy. Do not over beat the mix. It messes up the raising of the pancakes. Spoon batter onto griddle in quarter cup (or whatever size you like) scoops. Using a non-stick surface, I can spoon the mix directly. If you use a bare metal pan, you may need to oil it lightly, but not too much. 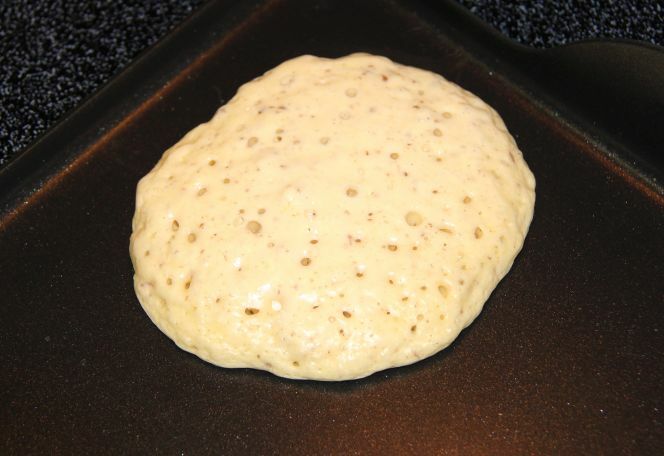 Wet contact between the batter and griddle cooks most efficiently. Let the cakes cook until bursting bubbles do not close. Patience. This is when most of the cooking happens. Do not lift the side of the cake to check doneness; that breaks the good contact. Turn. 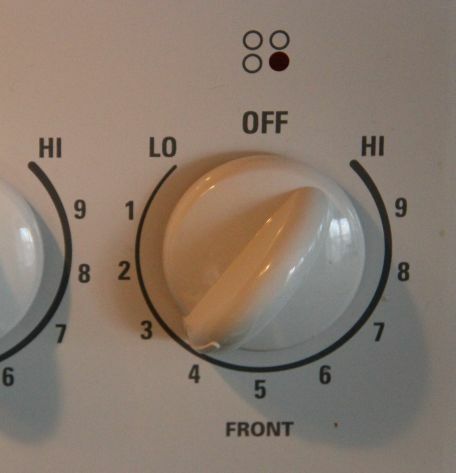 If the bottom is too dark, turn the heat down slightly. Do not turn them sooner. 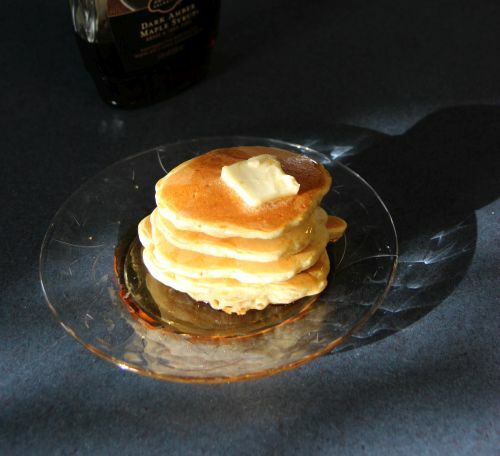 Many variables go into determining how fast the pancake cooks; you’ll have to experiment. Let cook for count of 20. Remove from griddle. Do not turn cakes more than once. Serve and eat immediately. The whole point is having fresh, hot pancakes; letting it cool or get soggy ruins the fun. 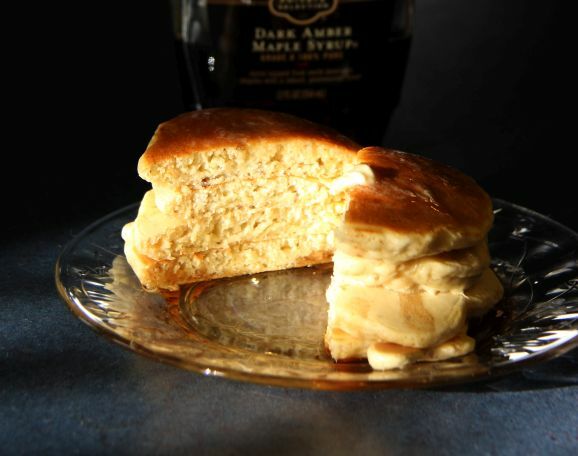 Serve with real butter and real maple syrup. If you use margarine or that gag-inducing slime called “pancake syrup” (have you read the label? ), buy frozen pancakes and save yourself the trouble. Grandchildren like toppings like chocolate chips, hazelnut and peanut butters, applesauce, etc. How do I reconcile that with step 10? I don’t. 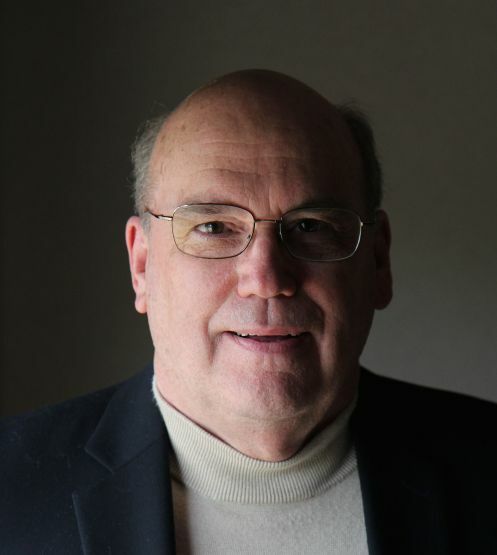 Are you a grandparent?